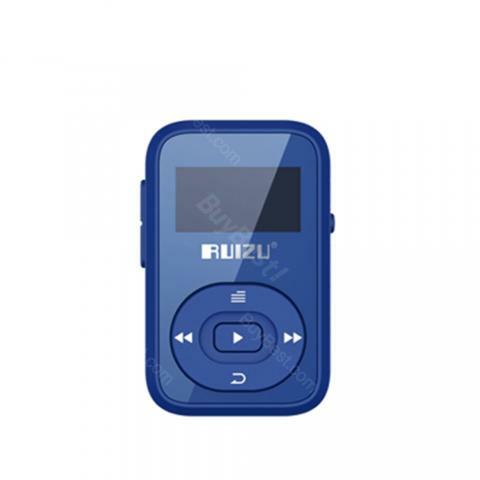 The RUIZU X26 Bluetooth MP3 Player is designed for sport lovers, cause it comes with a clip, which allows you to hold it on your pocket or your pants. It only takes about 1.5 hours to be fully charged but can work for about 30 hours. Get it to enjoy beautiful music while exercising! • Multifunction: Music Player/E-book/FM Radio/Bluetooth/Recording/Calendar. • Only require about 1.5h fast charging for about 30h using. • Anti-lost clip design, portable to carry. • It comes with 8GB TF card and support max 64G TF card. But you need to buy the 64G TF card separately. Cheap in price, high in quality. Worth the price. Recommend this Bluetooth MP3 Player. Exelent product good price. Very user friendly mp3 player, really worth the money. small and light. Battery lasts very long. 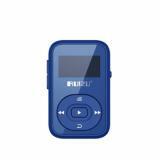 Bought this MP3 for my daughter in senior school for learning language and listening music for relaxation. I don't want her to watch cellphone too much. The old style of MP3 is a nice choice. Easy to upload music & videos. I liked it so much. Sounded good enough to me. good battery life, extra storage, low price. Works great, I really love this RUIZU X26 Bluetooth MP3 Player. sounds amazing, would recommend for the price! !